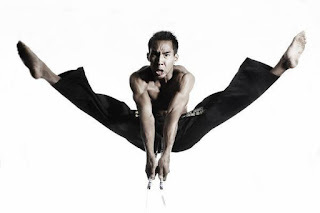 Martial arts, specifically Taekwondo is considered by many to be an ideal workout as it combines most elements sought after in a balanced fitness program. Many people understand that there are various styles of martial arts but they do not realize that within a style like Tae kwon do there are also various styles. 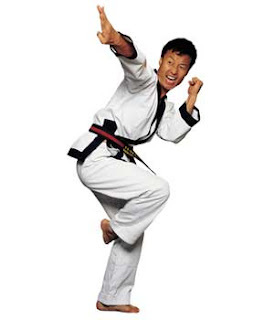 Tang soo do is an extremely popular martial art that evolved from the kicking arts of taekyon and subak. It is similar to tae kwon do and maintains its heritage as a traditional way of promoting the values of self-control, respect, and discipline in the pursuit of self-improvement. Important characteristics that underpin the art include humanity, wisdom, etiquette, and trust. Tang soo do is particularly popular in the US, where it is sometimes advertised under the name of karate or Korean karate. Chuck Norris is probably its most well-known practitioner in the West. He is the six-time undefeated world professional middleweight karate champion and one-time martial teacher of Steve McQueen, Priscilla Presley, and Donny Osmond. Han kum do (HKD) is a sword system in which the basic cutting techniques mimic the Korean script known as "hangul". It follows the fundamental principles of multiple strikes on multiple opponents. Developed by Myung Jae Nam, the art came to popular attention during the third international HKD Games in 1997. Hangul, known as the most scientific alphabet in existence, is very easy to learn and has 24 characters (10 vowels and 14 consonants). Making the sword cuts on the letters of the alphabet is an ingenious training aid that helps students to memorize the various cuts and enables them to perform the required movements instinctively in very little time. Won Hwa Do is a hybrid art that relies on 360-degree rotations to generate power, supporting the key philosophy that in nature there are no straight lines or angles of attack. The circle can be modified in volume, distance, speed and direction (vertical, horizontal, diagonal) in connection to attack and defense. This circle is applied in hitting, kicking, twisting, locking, throwing and weapon techniques. Won-Hwa-Do is suitable for anyone, whether male or female, young or old, in good shape or not. Weapons used in this technique such as the short stick, knife, and sword are routinely taught, with attacks and defends born from "bi son" the rhythm used during traditional prayer and dance. The circular attacking motions of the art belong to the same tradition as those used for massaging injuries. Long-term practice, stimulates healthy joints and ligaments because Won Hwa (circular harmonious) motions are in accord with the natural movements of the body. Hankido is a hybrid martial art that incorporates aspects of aikido, with kicking and striking techniques, acrobatic flips, and kicks reminiscent of tae kwon do. 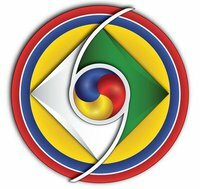 Students develop "ki" Korean for "qi" to learn 12 basic self-defense moves and 24 breathing techniques. They also spin and dance to develop coordination, rhythm, timing, and softness. 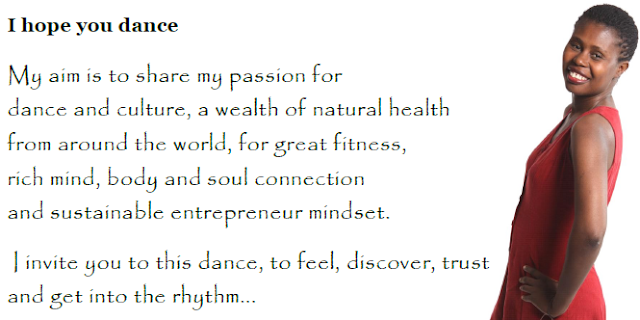 The art's philosophy centers on the principles of "circle," "flow," and "heart," and each has a specific exercise. 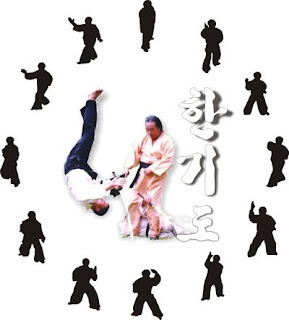 "Jeon hwa bup" (the circle exercise) teaches circular moves for defense, leverage, and throwing. "Young nyu bup" (the flow exercise) encourages students to see moves as a continual interaction between themselves and their opponents, promoting an attitude of fearless, relaxed action. "Shim hwa bup" (the rowing exercise) encourages the heart to develop a fighting spirit. Please take a moment to tell me about your observations or any particular comment on Taekwondo Techniques And Forms.